Anyone interested in dance, gymnastics, performance and being part of a team. Don't worry, students who have never done any of those things have become some of our best guard members. 2. What do you do in color guard? Color Guard is a sport of the performing arts and is a competitive activity. It is a TEAM sport which popular in the US as well as the rest of the world. Color Guard use flags, mock-rifles and sabres to create a visual performance along with music and dance. You will perform in at least three competitions. 3. What do you get out of color guard? You will learn to become confident, disciplined and HAVE FUN. Color Guard does not just mean being able to do routines. You must learn to "perform" the routines in a costume as if in a play. The confidence and discipline you learn carries over to your school work and everything else you do. 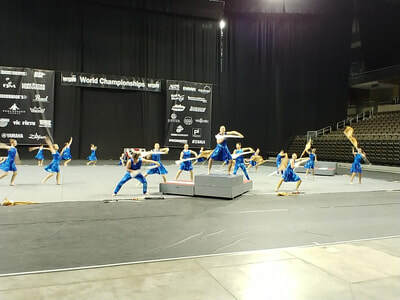 Check out Winter Guard International at www.wgi.org to get move of a sampling of what color guard is all about. 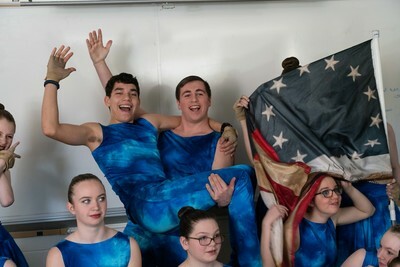 Welcome to the 2019 winter color guard season. We are all very excited to continue the tradition of excellence that King Philip color guard is so well known for. We also excited to have a JV team once again! Please understand that the staff is very dedicated and wants to help in any way possible. However, there are some times limits to what we can do. Please feel free to speak with Lennie before or after practice in person. If you are unable to meet in person at these times we are all available at the e-mail addresses listed above. For basic information or questions about scheduling Lennie is the guard director and will be the go to person. If for some reason a member will be late or absent from a rehearsal please email Erin or Lennie prior to the start of rehearsal. We have access to our email 24/7 and will respond and acknowledge ASAP. In the event that there is a conflict or situation which requires additional attention please contact Mr Keough. He is the administrator assigned by the school and ultimately the person in charge. We have a very educated staff of people who will be working hard to help the members grow and achieve success. While I understand that temptation will be there, we ask that the instruction be left to the staff, as they are the ones trained to do so. Respect everyone. Staff, members, parents and everyone we come in contact with as the KPRHS color guard. Rehearsals are not optional. This is a team sport and the absence of one member affects the entire group. Safety comes first. This means jewelry CAN NOT be worn during practices or performances unless an assigned part of the uniform. In the event of a new piercing or any that cannot be removed it must be covered to avoid any chance of injury. Rehearsal attire is all black. Dance clothing or comparable comfortable wear is appropriate. Cell phones are to remain off during practice. Please note silent mode is not off. In the event of an emergency please let the staff know and we will allow you to keep your phone at the front and on. At all competitions cell phones will be collected by a staff member or chaperone so that they remain safe from vandals or thieves. Appearance for performances will be determined by staff. This is a performing art and costumes and makeup must be as close to identical as possible. If you require special considerations please let us know and we will be more than happy to accommodate that. Our 2019 production Waving Through a Window, from the Broadway musical Dear Evan Hansen. The musical selection tells the story of a teenager who is wrestling with figuring out how to be relevant. The lyrics tell the story of adolescents try to speak but feeling like they are not being heard. That they feel like they are stuck behind a window that no one can hear them through. 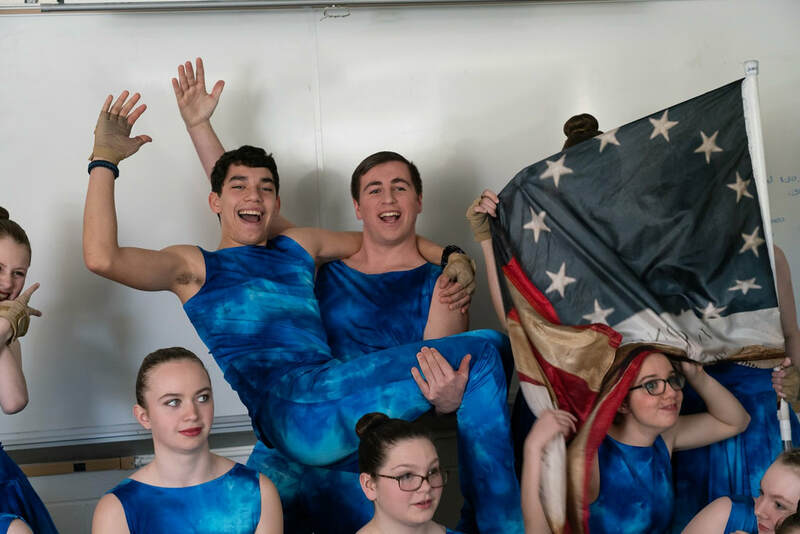 We will present a monochromatic pallet at the beginning of the piece and as each member finds their voice the costuming and equipment will bring a new color to the pallet showing how vibrant and important each person’s voice can be. Our 2019 production will be set to the popular music of Brand New by pop music artist Ben Rector. We chose a piece of music that would speak to the members and would be something they would enjoy performing too. In this case the music also speaks to the fact that our JV team is back and moving KP into a brand new era!!!! 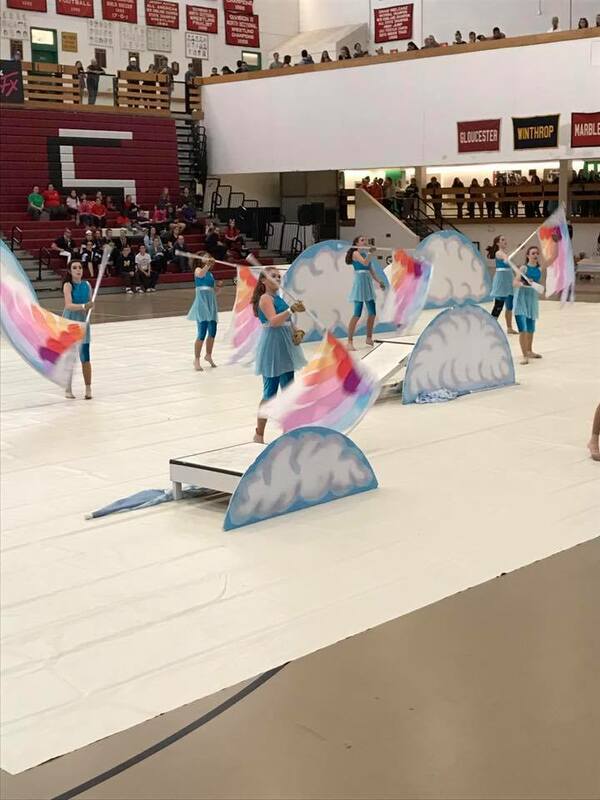 The show will be lots of fun and serve as a training ground to help our members develop the necessary skills to continue succeeding in the color guard activity !!! Lennie Machado – Director/Choreographer- Lennie has been teaching throughout the country for the past 20 plus years. He began marching at three years old and has continued in pageantry arts ever since. He is the designer/caption head for 10 organizations including The Spartans drum corps. He has won several local regional and national championships including 15 World Championship Medals. Ed Devlin – Designer - Mr Devlin needs no introduction at KP. He has been on Staff for 30+ years. He is the program coordinator for the Crossmen Drum Corps from San Antonio, Texas as well as the director of Blessed Sacrament color guards, the longest consecutive WGI World Class Finalist in the history of color guard. Aside from this he serves as the President of Winter Guard International. His achievements are unprecedented and we are beyond fortunate to have him on our team. Erin Brady – Erin is a very familiar face around KP. She is a 2013 graduate and 5 year color guard member. Erin has marched at the Spartans for 7 seasons and won the color guard trophy for DCI Open class four of those seasons She has also marched at St Brendan’s where she made World Championship Finals four consecutive seasons. Casey Saitow – Casey is returning to King Philip for a third year!!! He has marched for Pentucket Regional High School earning three NESBA Championships. He can also be seen as a member of St Brendan’s 2016 cast and as a member of the Spartans since 2013. He is currently a member of Blessed Sacrament and captain for the 2019 season at Spartans. Mr. Keough – Band Director. I am pretty certain there is no need for a description or resume of this guy. Lets just say he is the Boss!!! Mark Maguire(Junior Varsity) Mark is a very familiar face here at King Philip.He has served as our visual caption head for the marching band for several years. Mark has marched at the Cadets Drum Corps as well as East Coast Jazz Winning several World Championship medals. He Marched with Blessed Sacrament World Guard and is currently a staff member at Blessed Sacrament Open. ​Kate McKinnon (Junior Varsity)– Kate is in her 13th year of marching/performing in the color guard/pageantry arts activity. Kate began marching at St Brendan’s in Dorchester where she remained for 11 years!!!! She was the captain of the A guard there before moving up into the Open guard where she performed at World Championships in Dayton Ohio. Kate also taught the cadet class training program at St Brendan’s. She is currently a member of Blessed Sacrament World team and we welcome her to the Pride and the Passion!! !